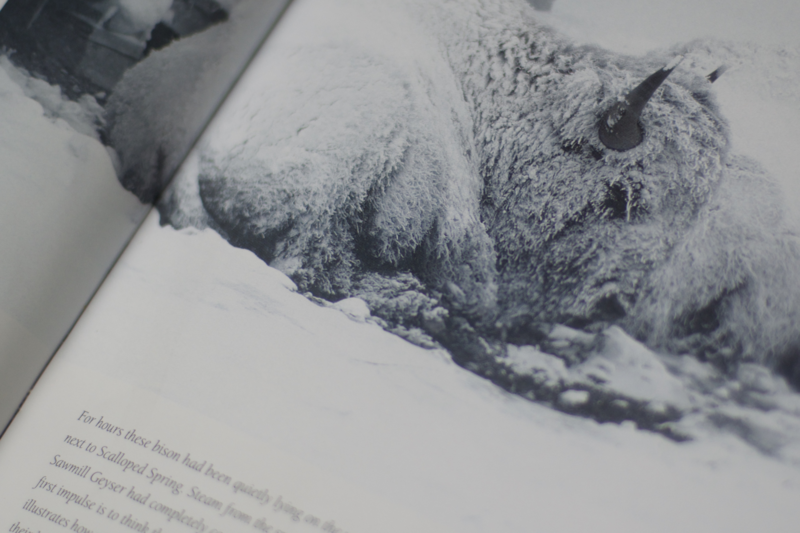 A bison near a warm stream from “Silence and Solitude: Yellowstone’s Winter Wilderness” by Tom Murphy. 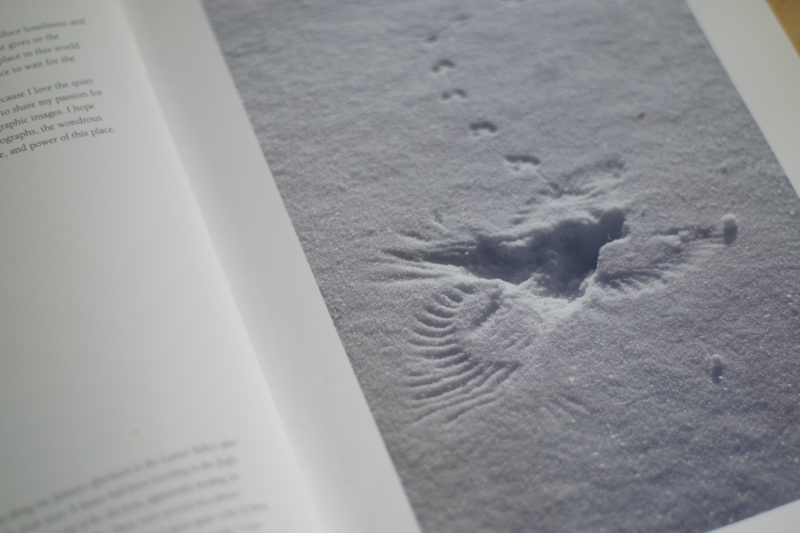 Written across fresh snow, a line of mouse track collided with an imprint of hawk feather to record a moment when winter stripped nature and story to their basic elements, survival and death. Yet even in this minimalist environment is beautiful abundance that is illustrated in “Silence and Solitude: Yellowstone’s Winter Wilderness” by Tom Murphy. The exquisite excess in the act of survival captivates the imagination of Murphy, a naturalist, photographer and author who has spent more than four decades recording the harsh beauty and tenacious spirit of Yellowstone National Park, one of the few remaining wild places in the United States. Murphy’s curiosity and gratitude for nature are exposed and expressed in his photographs and writing, which has appeared in National Geographic, Newsweek, Audubon and the Corporation for Public Broadcasting. His dedication is evident in the 80 to 100 days he spends within the national park’s borders each year, and the five photography books published. Art and science both originate from a need to understand the world we live in, said Murphy, who draws on both when he photographs Yellowstone in winter, a place of rare beauty and near impossible discoveries now imperiled by climate change. Anticipated climate change to the Yellowstone ecosystem. The NASA Earth Observatory map by Joshua Stevens. Reorienting ourselves in place and import within the larger needs of the world was an underlying argument of Thomas Berry (1914 – 2009), a pioneer in the field of religion and ecology who argued that we could not rescue ourselves from ecological crisis without tending to the Earth. Yellowstone, our oldest national park, has long served to reconnect humans with nature. In 1883, The New York Times described this land of fire and ice as an “almost mystical wonderland.” More than a century later, that reverence appears in Murphy’s photographs. 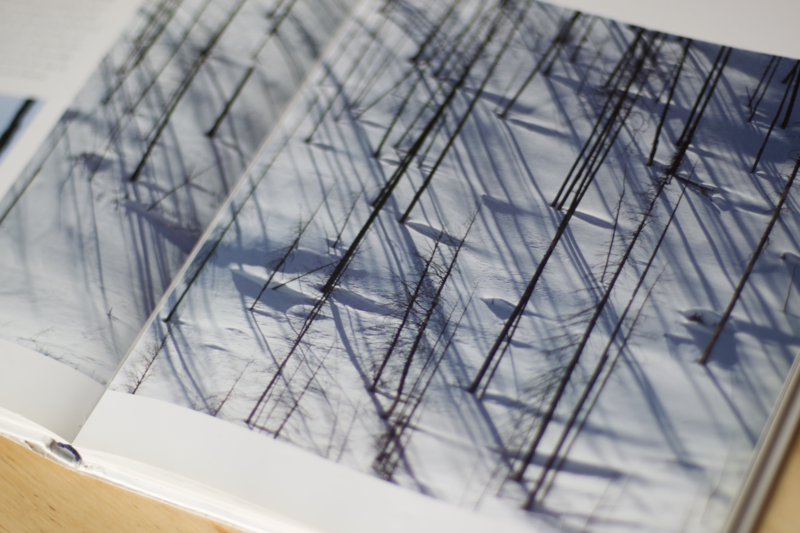 Murphy developed an intimacy with wide-open places during his childhood on a cattle ranch in western South Dakota. There he developed a deep love for spacious land, as well as a determination to not spend his lifetime chasing cows, according to his website autobiography. After earning a degree in anthropology, he spent many years combining photography with anthropological fieldwork. Cahill might think his friend foolhardy to brave the elements in 50-cent socks, but he expressed only admiration for Murphy’s ability to tell a story with an image. In a place where temperatures can dip 50-degrees below freezing, Murphy wrote that he continues to use tripods 99 percent of the time, although they are cold, pinch his fingers, and are heavy and awkward on his skinny shoulders. When traveling through steam in thermal areas, he learned to keep his equipment in plastic bags to reduce damage from the condensation that occurred when going from cold to warm areas. Despite the extreme contrasts between bright snow and dark objects, he said he avoids the additional weight of flash, filter and reflector (which he admits are excellent tools), and chooses to bracket exposures, taking a series of the same image at different camera settings. Like the land and the animals he photographs, Murphy endures long periods of exertion followed by hours of still observation. His dedication rewards us with a rare and insightful perspective on the tenacious, yet tenuous nature of life. Thomas Berry on our shared future. 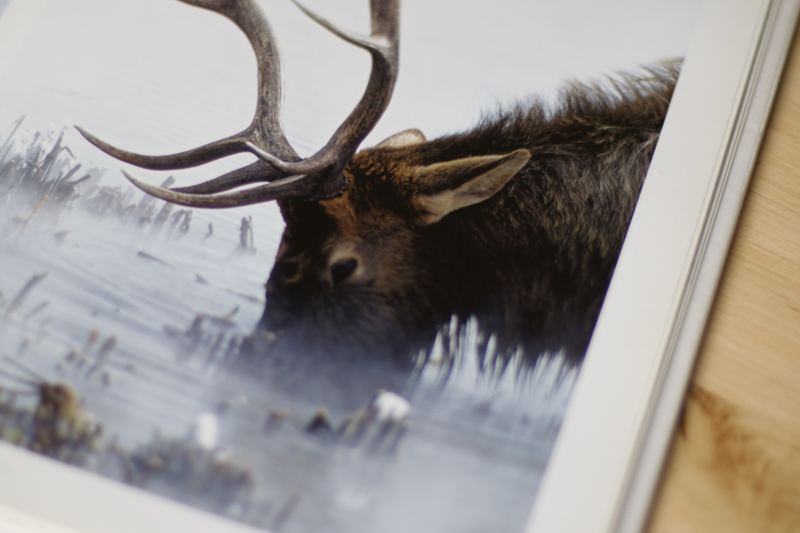 “Silence and Solitude: Yellowstone’s Winter Wilderness” (public library) by Murphy, forward by Tim Cahill. “Your children’s Yellowstone will be radically different,” The New York Times. Yellowstone Science: special report on the ecological implications of climate change on the park’s ecosystem, published by the National Forest Service, 2015. Page 28: Scientist Michael Tercek and his daughter. 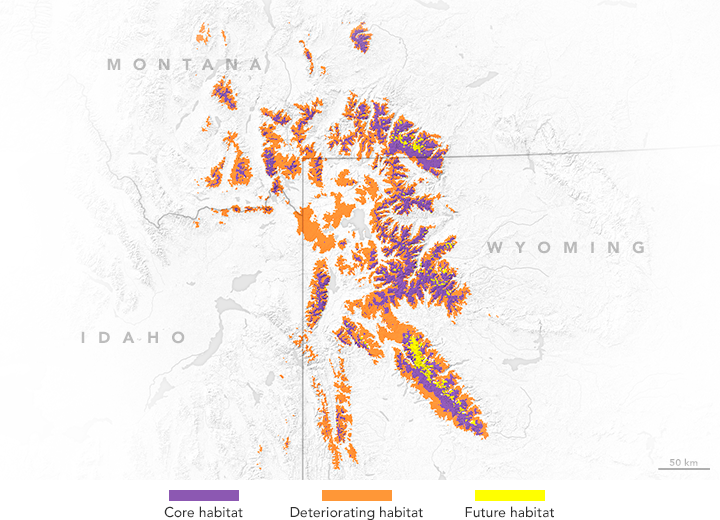 “Natural beauty at risk: Preparing for change in western parks,” by NASA Earth Observatory blog.